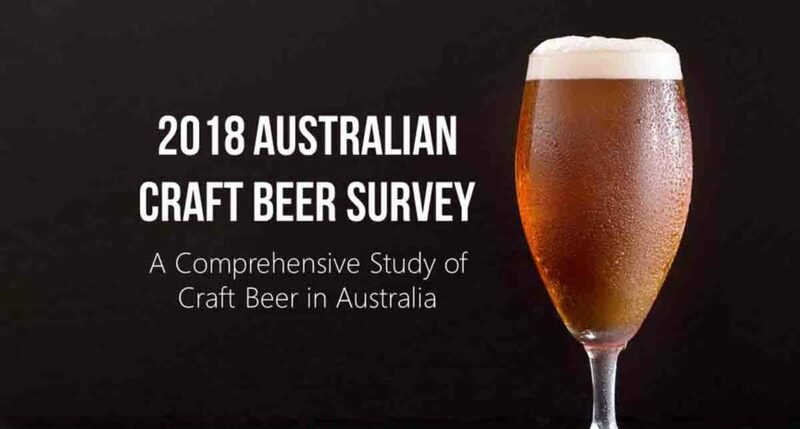 Craft beer specialist retailer Beer Cartel has released the 2018 Australian Craft Beer Survey, amounting to the “most comprehensive study ever undertaken with Australian craft beer drinkers”. The study asked a broad range of questions to over 18,000 craft beer drinkers, with top honours this year going to the emerging Balter Brewing, established just over two years’ ago. The constantly evolving results are a strong indictment of how young and dynamic the Australian industry is, says Beer Cartel director, Richard Kelsey. “We’ve been doing the Australian Craft Beer Survey for the past three years. 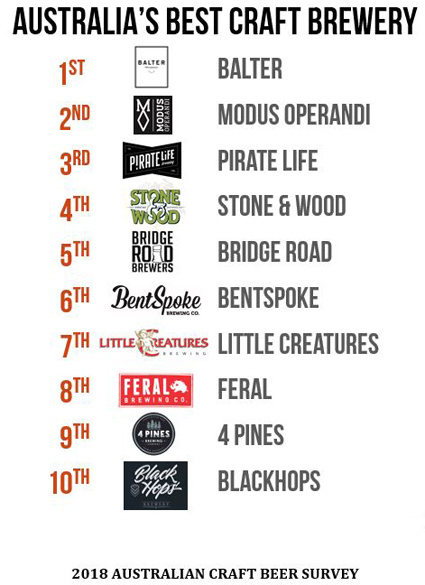 In that time three different breweries have taken out the title of Australia’s best brewery. Stirling Howland, co-founder and brand director of Balter Brewing Company, says their gong for Best Brewery is great affirmation of what they do. “To win this award on the back of the Hottest 100 earlier in the year is a wonderful feeling. “We’ve been kicking around for two and a half years, and it has been a pretty amazing journey to date. When we started Balter, it was always about the beer and connecting to our community through our work. 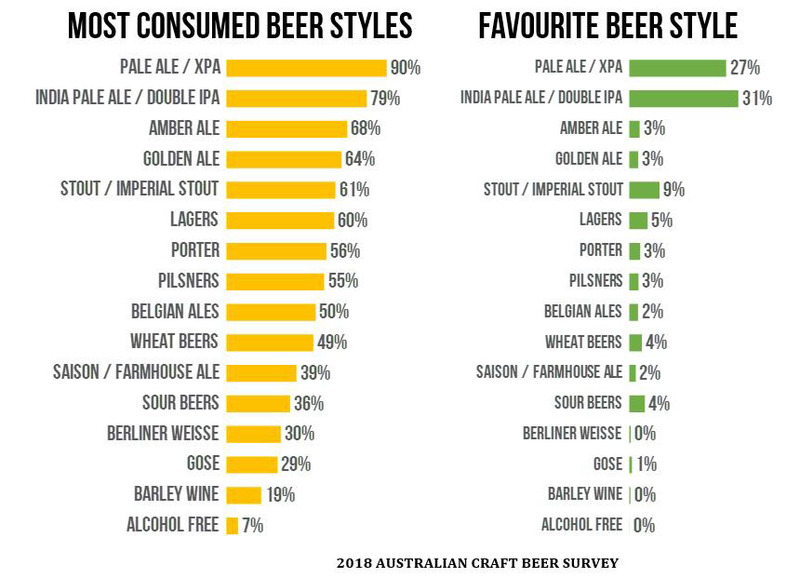 See here for more on the 2018 Australian Craft Beer Survey.